High performance syringe barrels that are manufactured to the very best possible quality delivering exceptional performance and consistency. From moulding to packaging, barrels are guaranteed to be free of silicone contaminants and imperfections and are suitable for dispensing most fluids. Use these barrels with pneumatic dispensers. 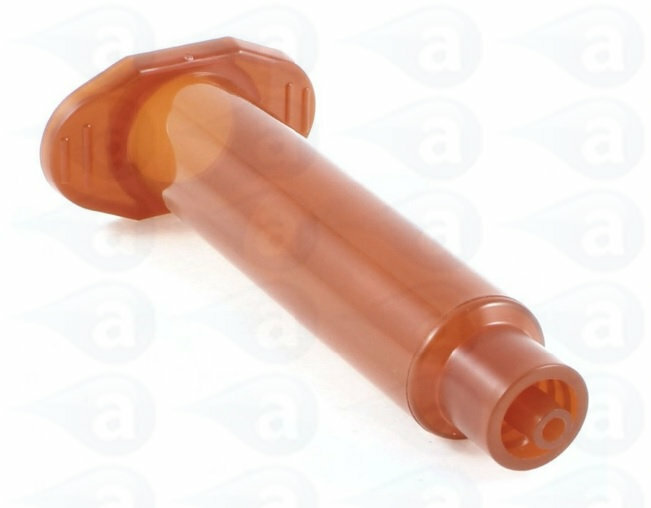 The 700 Series Premier dispensing syringe barrels are silicone and chloride- free and designed to work with dispensing equipment - either manually or on a pneumatic dispenser. The syringe barrels are made from low friction polypropylene to ensure accuracy, repeatability and productivity. Features a double Helix Luer lock for secure dispense tip attachment. Amber (tint) for most generic applications as well as UV light sensitive adhesives. Maximum operating pressure is 100 psi (6.9bar). These parts are available to ship direct from stock. Supplied in packs of 50 or bulk packs of 500 and 1000. Pistons available for all barrel sizes as well as end caps and adapter assemblies. Summary: Luer lock dispensing syringe barrels for air powered dispensers and syringe guns. Products on a longer lead time or built to order will be sent as soon as available. Customers are informed of ship dates and updates. The items listed on this page are held in stock. 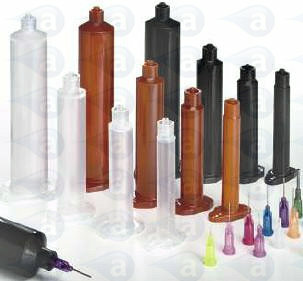 Typical Applications:- These barrels are used on pneumatic dispensing machines. Use with most liquids, pastes, epoxies, gels, solvents, adhesives, fluxes, lubricants, paints, inks, solder creams, braze pastes, UV cure and many more assembly fluids.